Home 2016 October 28 The Foot in Diabetes – when things go wrong…. Foot problems in diabetes are generally insidious in nature. All patients with diabetes are predisposed to foot problems to a greater or lesser extent because diabetes will often affect circulation in the legs and feet, and cause numbness to varying degrees in feet and ankles (neuropathy). For some reason which is not yet completely clear to medical science, patients with diabetes are also more prone to develop infections. Infection in the leg and foot in diabetes, once established, can spread rapidly in deep tissues to affect bone (osteomyelitis). Because neuropathic feet have lost their normal sensation the patient is often unaware of pain, and therefore of how serious the condition may be. The end result may be loss of digits, the foot, or the foot and lower leg, either from circulatory problems leading to gangrene, or more usually because amputation is the only way to save viable tissue further up the foot or leg. Foot complications are common in diabetes. 10% of diabetic patients will go on to develop a foot ulcer at some point in their lives, and diabetes is the most common cause of non-traumatic limb amputation (ref 1). It is for this reason that diabetic patients are advised to check their feet regularly, and even when healthy they are advised to attend for annual vascular and sensory checks, either at their GP’s, or at an NHS Podiatry clinic. The health professional who carries out annual diabetic foot checks should examine foot sensation, pulses, inspect for any foot deformity, and inspect current footwear. Foot risk should also be classified into low current risk, at increased risk, at high risk, or ulcerated foot at this time. The role of the Podiatrist. Podiatrists are foot specialists. To qualify they must successfully complete a degree in Podiatry or Podiatric Medicine, and then be admitted to the UK Register. 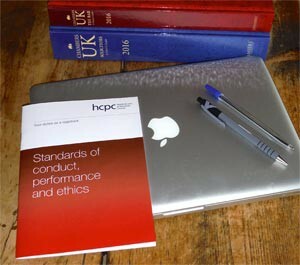 They are regulated by the Health and Care Professions Council (HCPC). Usually the patient’s General Practitioner will refer his diabetic patients to a local Podiatry Department for annual assessment, and treatment if necessary, although sometimes the Practice Nurse will carry out annual assessments. Most podiatrists are not qualified to prescribe antibiotics, and for that the patient must be referred back to his/her GP. Podiatrists, and indeed anyone who works with diabetic patients and feet should be aware of, and work with as far as possible, the National Institute for Health and Care Excellence (NICE) guidelines. 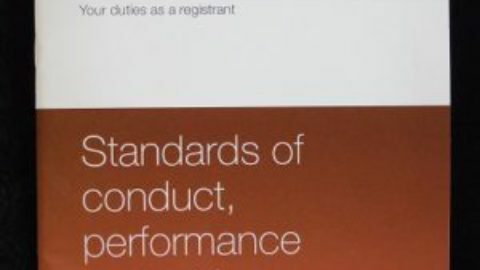 These are NICE CG10, issued January 2004 – August 2015, and relevant to any alleged clinical negligence case between those dates, and NICE NG19, which is current. The NICE guidelines give clear treatment pathways for those diabetic patients who are at increased risk of foot ulcers, those who are at high risk of foot ulcers, and those who have already developed a foot ulcer. Podiatry is not the only profession mentioned by NICE, and they emphasise that a multidisciplinary foot protection team (MFT), with input from podiatrists, orthotists, nurses with training in dressing of diabetic foot wounds, and diabetologists with expertise in lower limb complications, provides the most effective care. Further, they state that the MFT should have unhindered access to suites for managing major wounds, urgent inpatient facilities, antibiotic administration, community nursing, microbiology diagnostic and advisory services, orthopaedic/podiatric surgery, vascular surgery, radiology, and orthotics. It is not up to the Expert Witness to label treatment clinically negligent. That, quite properly, is up to the law to decide. Clearly though, if nationally-agreed standards and guidelines have been issued, then it becomes easier for the expert to be precise about where treatment standards have fallen below what would normally be expected of the health professional(s), healthcare commissioners, and healthcare providers. Ref 1: NICE guideline NG19. Additional damages in Personal Injury cases (lower limb and foot).Downtime No 1 - The Triking.